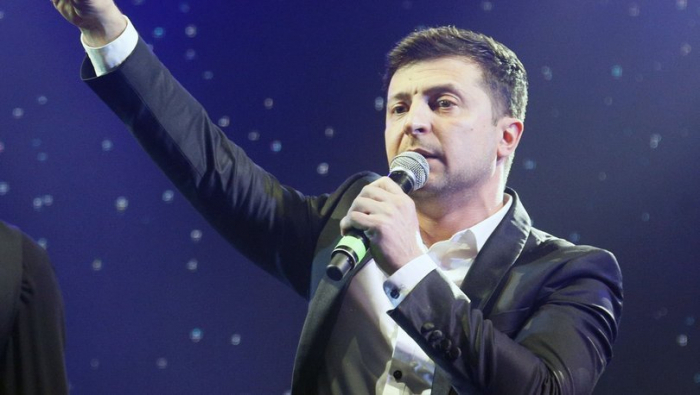 The gauntlet has been thrown down — Ukrainian Presidential candidate Volodymyr Zelensky has challenged Ukraine’s current leader to a debate. A presidential showdown of epic proportions, if you will. In a polished new video released Wednesday, comedian Zelensky, who has no political experience, challenged incumbent President Petro Poroshenko to a debate in the Olympic National Sports Complex in Kiev, which seats over 70,000 people. A clock is now counting down on the Facebook page of his campaign. Whoever wins the vote will inherit a conflict between Ukrainian troops and Russian-backed separatists in the East, after the 2014 Maidan street protests forced out the former pro-Russian President Viktor Yanukovych and Russia annexed the Crimean peninsula.